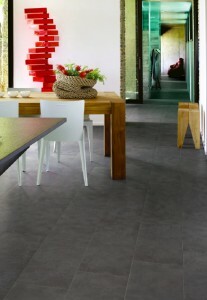 The Concreta Series is a porcelain floor tile from Italy. It is available is 4 colors and is available in 2 sizes: 12″x24″ and 2″x2″ mosaic. The Concreta Series is a porcelain floor tile from Italy. It is available in 4 colors and is available in 2 sizes: 12″x24″ and 2″x2″ mosaic, as well as surface bullnosing.